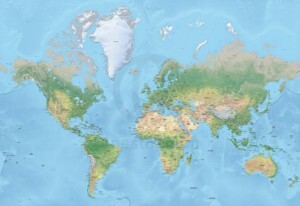 One Stop Map and Red Geographics have agreed to join forces in order to grow the collection of maps that is available for sale. This will take the form of Red Geographics acquiring an ownership share and investing both time and effort into running the site. “We are very excited about this step” , said Hans van der Maarel of Red Geographics. “One Stop Map is a great platform offering digital maps and we are looking forward to expanding the collection by adding new styles and new maps to it on a regular basis. We are also planning to add more capacity for taking on custom map projects that come in via the One Stop Map website”. 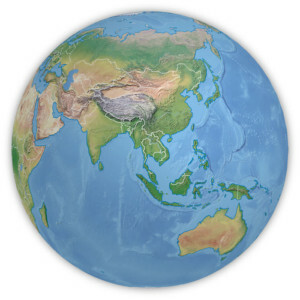 One Stop Map is the #1 webshop for high-quality, copyright-free digital maps, both raster and (layered) vector. The site started in 2013 and has seen steady growth and an international customer base ever since. Mr Koen Adams of OneStopMap can boast 20+ years of experience in cartography, graphic design and webdesign. Red Geographics operates in the fields of GIS (Geographic Information Systems), geographical data, Spatial ETL, 3D visualisation and digital cartography, offering consultancy and training, performing data translation and transformation services as well as creating both 2D and 3D maps and visualisations. Red Geographics is also a Silver Partner of Safe Software (creators of FME) and Value Added Reseller of Avenza Systems (creators of MAPublisher and Geographic Imager). Mr Hans van der Maarel of Red Geographics is an accomplished cartographer and board member of NACIS, the North American Cartographic Information Society.